I held my first garden party 55 years ago when I was 12. We were celebrating the start of a new school year. Nine of my girlfriends and a cousin my mother made me include were invited. We felt very grown up. My grandfather and parents were an integral part of the event. Earlier in the spring, months before thoughts of a garden party, my grandfather and I scattered flower seeds that I helped him harvest in the fall. I don’t recall what kind, but I suspect zinnias. I had my own special area of the garden that was my responsibility, and on party day I proudly showed off the flowers. I’m sure I exaggerated how hard I worked all summer tending plants, but I remember being happy and, I’m sure, boastful. For the party, my father built a long table on the lawn, and my mother planned a magical afternoon. We each picked flowers, and my grandfather kept repeating, “Altenzione i fiori preziosi. Non passo su di loro.” (Be careful of the precious flowers. Do not step on them.) My mother showed us how to arrange flowers for table decorations, and we made flower crowns to wear. My grandfather took us to the vegetable garden to harvest tomatoes, basil and oregano. Each of us made our own pizza, and the adults supervised as we cooked on the grill. I often wonder if that afternoon cemented my love of gardening and entertaining. The cousin I didn’t want included is now one of my dearest friends. She is an extraordinary gardener and, like me, she credits my mother and our grandfather for instilling her passion for gardening. I’ve become a Green Spring Master Gardener, and my cousin is probing the North Carolina Extension Service for a Master Gardener program near her. It’s never too early to garden with children. Know what your children like, work in your garden, and engage the children in activities. Do they like to get muddy? Can they tolerate dirty hands? Teach them the science of good soil and why plants need sun and water. Don’t fear teaching terms like photosynthesis, even to your preschooler. Exposure, exposure, exposure. I won a schoolwide science fair in fourth grade on the topic photosynthesis. The judges were wowed! Help young gardeners experience success by selecting easy-to-grow plants like zucchini, radishes, and sunflowers. Growing their own veggies will encourage them to eat healthy. A child’s self-esteem will grow when he harvests a cucumber from his own garden. You don’t need a lot of space. Lean a dollar store trellis against an outside wall and grow beans or other edible vines. Grow sweet, cherry tomatoes or herbs in a container. Supplement the hands-on experience of gardening with books and field trips. Green Spring Gardens has a library of gardening books for children to read and explore on site. It also has a fabulous children’s garden with activity sheets. Whitney Cohen and John Fisher wrote “The Book of Gardening Projects for Kids.” It’s filled with great advice and activities, even if the parent is not an enthusiastic gardener. It has suggestions on how to enhance the gardening experience. Gardening with your children will give them a lifetime of love and respect for nature. So get your hands dirty. Experience, and make memories with your kids. Author Gioia Caiola Forman is a Green Spring Gardens Master Gardener. 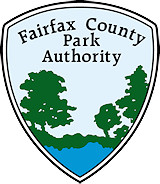 This entry was posted in Uncategorized on April 24, 2017 by Fairfax County Park Authority. Thanks for that very good article. One of my earliest memory from childhood is gardening with my grandmother.